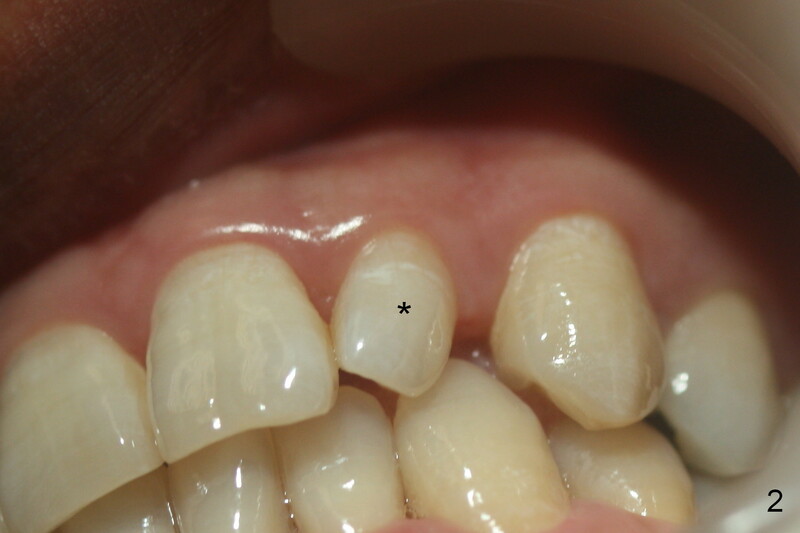 A 36-year-old man has 2 small, congenitally deformed lateral incisors (peg laterals, Fig.1,2 *). 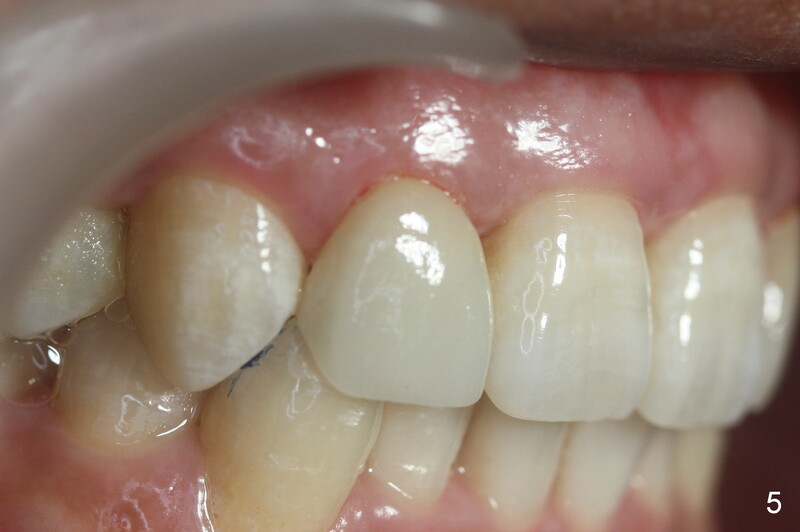 After discussion, we choose porcelain veneers for cosmetic makeup. 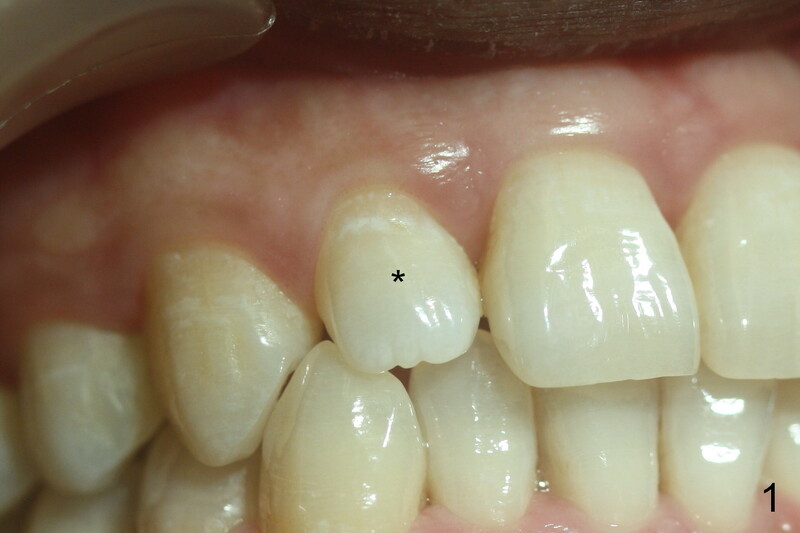 The teeth need minor shaving (Fig.3,4); right colors are being selected with a shade guide (Fig.4: G). 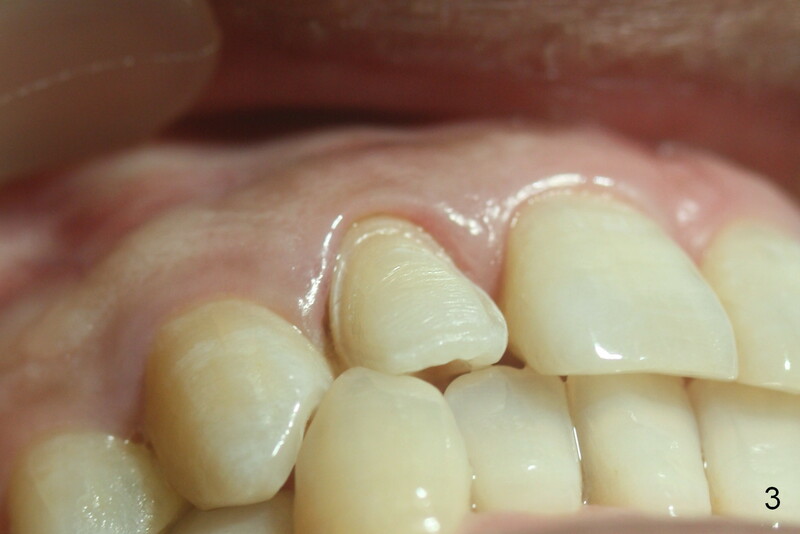 The shaving is so conservative that there is no pain during the procedure and there is no need to make temporary veneers. 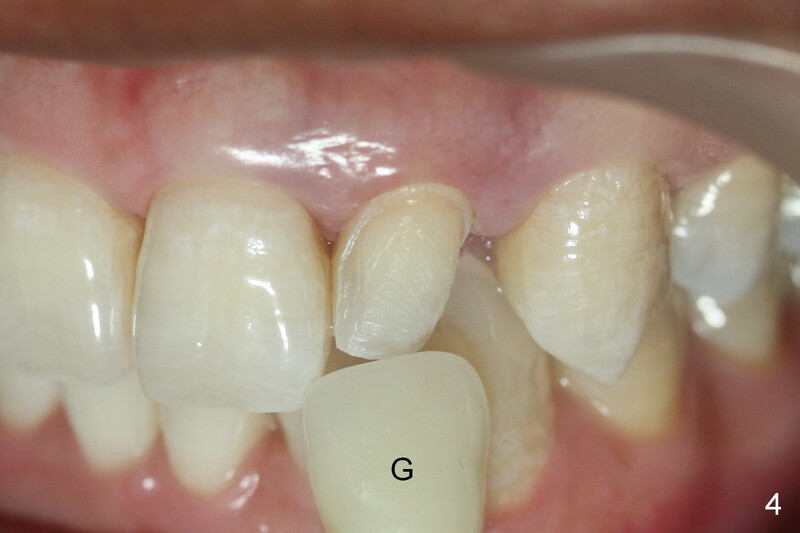 One to 2 weeks later, porcelain veneers are cemented (Fig.5,6). The patient is satisfied. 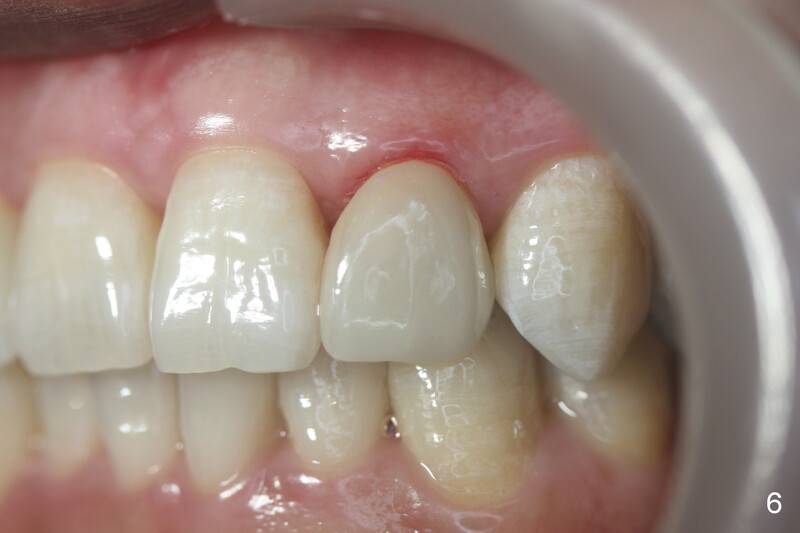 In brief, porcelain veneers takes two visits to finish. They looks more natural. The color stays longer than resin ones.